I love all the sheepies!!! Thanks for including Patches, she's very excited to be here! Sheep! Love 'em! All kinds of woolie goodness. :) Thanks for including my magnets. They make me smile every time I make them! 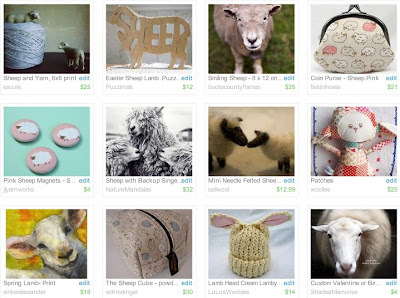 Ever since I saw the film Marie Antoinette, I have had a fondness for all things sheep!